Last author Brad Bushman, a professor of communication and psychology at the Ohio State University (OSU), was the corresponding author on two now-retracted papers linking video games and violence. 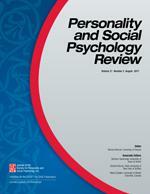 The new meta-analysis was published online in Personality and Social Psychology Review in September 2017. He took it very seriously, confirmed the error that weekend, and voluntarily contacted the journal. According to the expression of concern, the authors are now conducting a “thorough reanalysis” and will update the conclusions and interpretations. Benjamin explained that the authors will add a note “delineating the differences between the two versions” of the paper. The authors of this manuscript contacted the editors indicating they had discovered some errors in the computation of effect sizes in their meta-analysis. Initial reanalysis suggested that at least one of the substantive conclusions of the manuscript was affected by the error; the authors now urge greater caution in interpreting the effect size of weapons on aggressive behavioral outcomes. The authors will undertake a thorough reanalysis and will modify the results and interpretations accordingly, and this notice will be updated upon their completion of the modifications. The editorial staff appreciates the proactive efforts of the authors in this matter. Malte Elson, a behavioral psychology postdoc at Ruhr University Bochum in Germany, who questioned the results of the other now-retracted paper co-authored by Bushman, told us he “was surprised by the assertiveness of the claims reported in the original meta analysis” and hopes the revised meta analysis will “be more moderate in its conclusions,” given that some researchers have been unable to replicate the weapons effect given that some researchers have been unable to replicate other effects that are somewhat aligned with the weapons effect. … mistakes happen, and it is great to see that in this case, both science and scientists corrected themselves. Obviously, I wish the original mistake was never made, but it is better to have been detected and corrected before the article was officially in print than after the fact. Bushman’s work has stirred up considerable controversy in the past few years, resulting in a misconduct investigation and two retractions. Earlier this year, OSU found Bushman’s former postdoc, Jodi Whitaker—who co-authored one of the now-retracted papers—guilty of misconduct and subsequently revoked Whitaker’s PhD; OSU did not find evidence to tie Bushman to wrongdoing. I wanted to thank the authors again for their rapid and thorough response. I have contacted authors (and editors) of other meta-analyses about errors of this sort, and most have shrugged, ignored the concerns, and allowed the paper to stand uncorrected. The authors’ response here is remarkably thorough, and it is the sort of action that editors and journalists should seek to encourage. In that light, I find it regrettable that the headline takes a derogatory tone and tries to link this voluntary correction to other retractions. This is the sort of mistake anybody could make. If we want inevitable, honest mistakes like these to be corrected, this sort of action should bolster, rather than harm, researchers’ reputations. Psychologists generally (note the term!) are motivated by the business of psychology as dictated by institutions. Review committees (i.e., $$ and prestige are too often primary over the search for truth. Never mind that the “truth” should pertain to well formed conceptual issues with clear relevance to understanding nature (those aspects of the whole whose importance is determined via sustains conceptual inquiry). I have observed what happens in institutions for well over 30 years (as a faculty) and the over-riding sense is that we train, not educate, our charges. They, in turn, become the new generation of advisers and the cycle continues. As long as we practice and select based (too often) on the motivation “produce”, the bean counters will continue to count (not taste) the beans and psychological science will remain a method in search of substance. This is not a science (note: method is necessary, not sufficient). It may take a long time, but as currently conducted, psychology will eventually implode due to conceptual vacuity.